Dr Tommy Tran graduated with a Bachelor of Physiotherapy with first class honours in 2001 and then a Bachelor of Medicine/Bachelor of Surgery with first class honours in 2005. He was awarded the John Rendle Short memorial prize in child health in his final year of medical school. Dr Tran has trained predominantly at the Mater Children’s Hospital in Brisbane, but also spent an advanced training year at the Royal Children Hospital in Melbourne. He completed a fellowship year in Paediatric Respiratory and Sleep medicine before being awarded his FRACP in 2012. 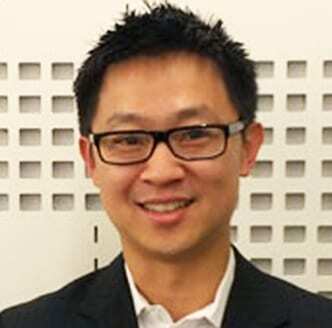 Dr Tran currently serves as the Director of Paediatrics at Greenslopes Private Hospital. He is a Senior Lecturer at the University of Queensland School of Medicine and the clinical lead in Paediatrics. He sits on the hospital’s Medical Education Committee, helping to co-ordinate paediatric & neonatal training for junior doctors at Greenslopes Hospital. He is a member of the Neurobehavioural Paediatric Society of Australia (NBPSA), the Australasian Telehalth Society and Fellow of the Royal Australian College of Physicians. Outside of medicine, Dr Tran is kept busy by his three young children.